The upcoming mid-term polls present an exceptional opportunity for the Filipino people who are now burdened with relentless price hikes, disease epidemics, food shortage, environmental crises, internal conflict and brazen loss of life due to extrajudicial killings, the TRAIN law, Martial Law, misinformation and widespread impunity. 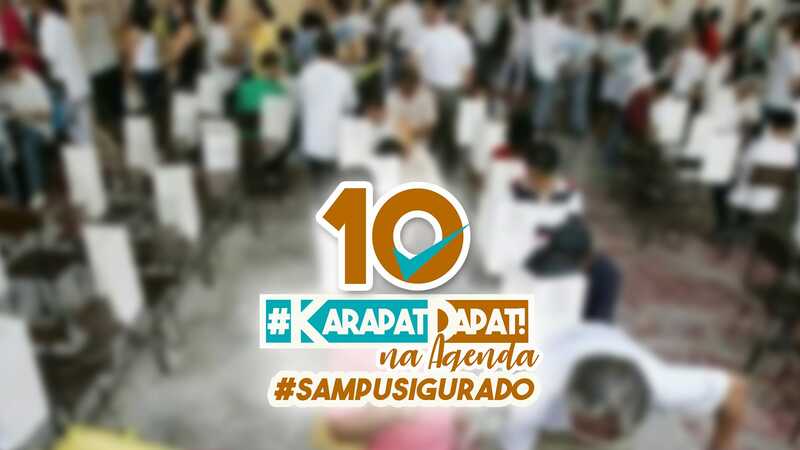 The 2019 elections is a defining moment for the aggrieved Filipino masses, whether we move forward as a nation hoping for better lives or as doomed souls, is literally in the hands of every voter inside the polling booths come May 13. At this juncture, we simply cannot afford a “business as usual” approach to this critical political exercise. 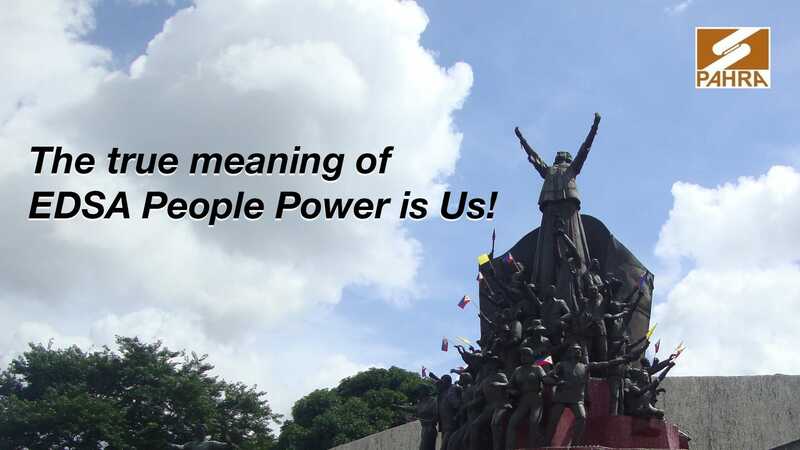 The true meaning of EDSA People Power is Us! The celebration of historic event is not about the personalities who emerged victorious. It is about unsung heroes of yesterday who vigilantly fought for the nation to be free. EDSA People Power is not about the Aquinos neither their cohorts, who are now brandish as so-called “Dilawans”. Lest we forget that there were ordinary people – farmers, workers, fisherfolks, teachers, students, church people, and even professionals who offered their lives in the altar of struggle and resistance for nationalism and democracy. They who chose not to be cowed by silence and fear in the face of a despot and plunderer. It was an act of people reawakening. It was the people empowered by passion to change and to act for change. The power that ousted a dictator. 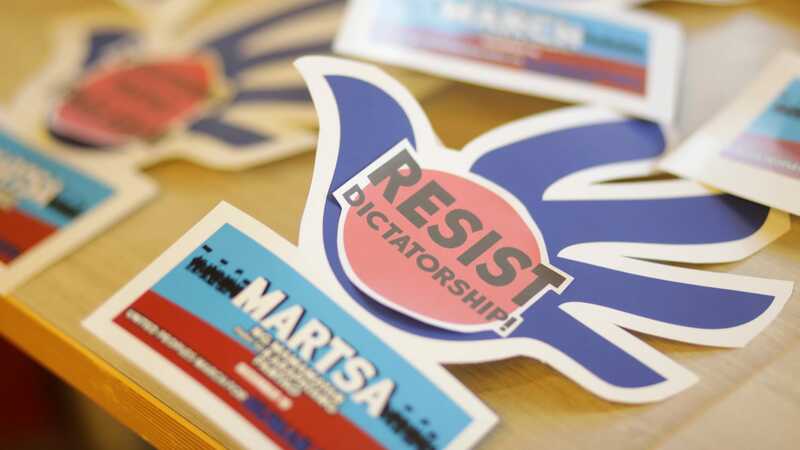 The power that awakened hundreds of thousands amidst massive and widespread human rights violations which occurred during the dark days of Martial Law under the Marcos dictatorship. The power arose by the paragons of justice, peace and democracy emerging from the climate of fear and quandary. Seven decades ago at the end of World War Two humankind has asserted that the destruction of human dignity in order to achieve power over populations through violence and fear would no longer reign in the world. Thus the United Nations on December 10, 1948 agreed on a Universal Declaration of Human Rights (UDHR) which would set the standard by which all nations strive to achieve for each of their citizens. 70 years on, the UDHR remain more relevant than ever as the world is now faced with an alarming rise in rightist and populist governments in many countries. Specifically in the Philippines, which has been under the Duterte presidency for more than two years, the respect for life and human dignity had been atrociously violated a thousand times over.